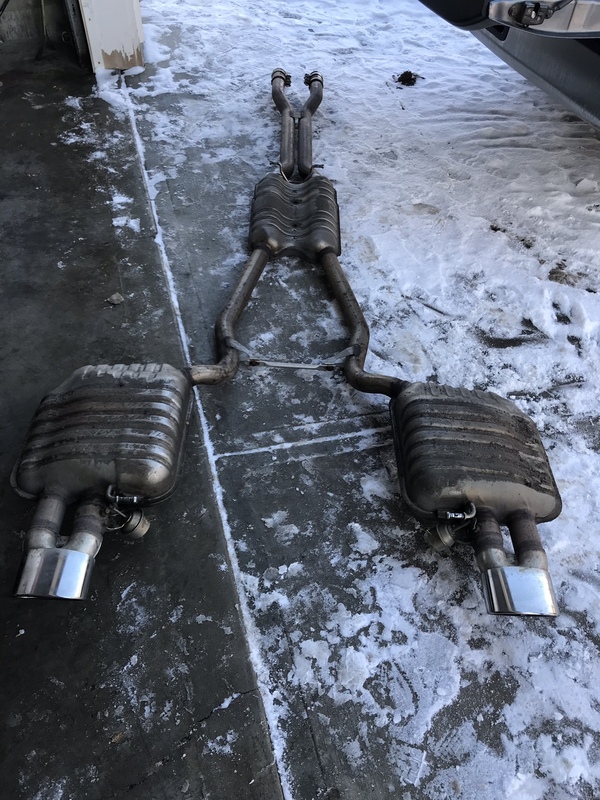 For sale is my factory rs4 exhaust, used for 110k km. No dings or dents, there is carbon buildup on the tips but the new owner can probably clean it. $100obo the sooner gone the better. Dont cut it up yet, I may be interested. Give me a day or so. Ya no prob. I don’t want to but I don’t want to store it either. Danno, decided against the mufflers. Interesting that is has an exhaust flap, what is the use? To make a better sound? Last edited by Shoreboy; 02-07-2019 at 11:26 AM. The sound is great. I've only ever driven one, but it sounds meaner when you push the button. I didn't know about the seat feature. That's kind of cool! 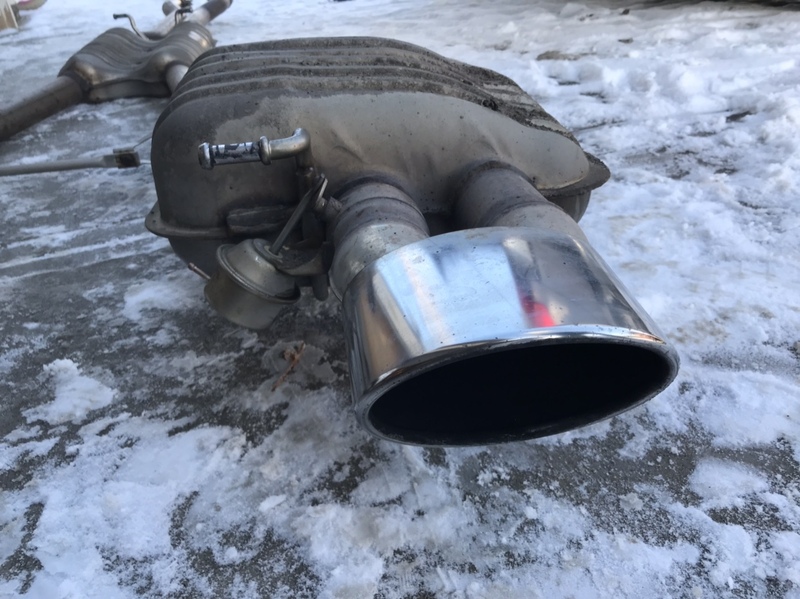 Could this be made to work on a B7 S4? Never mind, did some googling and way too much trouble to get it to work. Cutouts would be fun. Would sound fairly ridiculous on my TDI though. Ya my idea was someone would just want the mufflers and tips. Not a big deal I’ll just get it recycled, in a few more weeks if no one wants it.